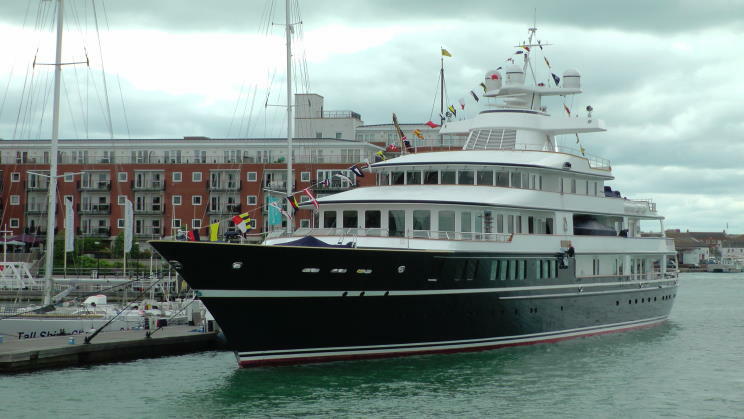 June 9, 2012: Leander G seen at Portsmouth, England. 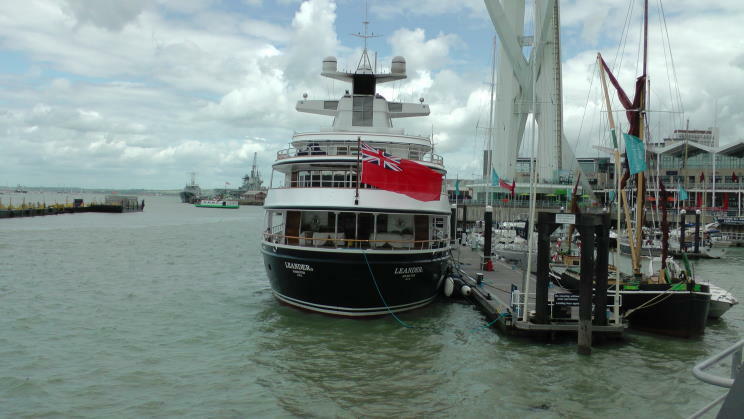 June 9, 2012: Leander G seen at Portsmouth, England. HNLMS Snellius A-802 and HMS Illustrious R-06 are seen in the background. 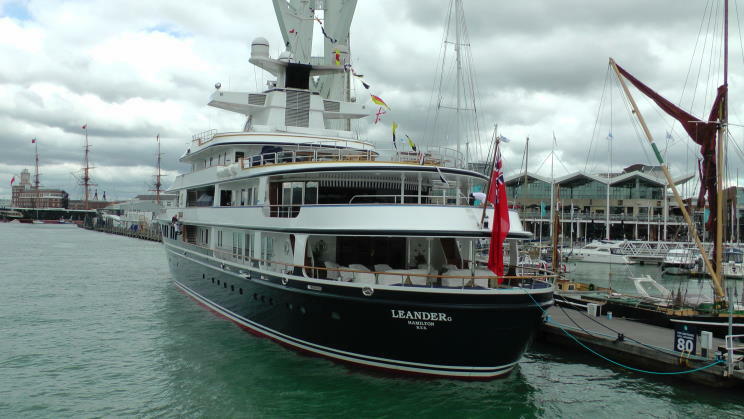 June 9, 2012: Leander G seen at Portsmouth, England. 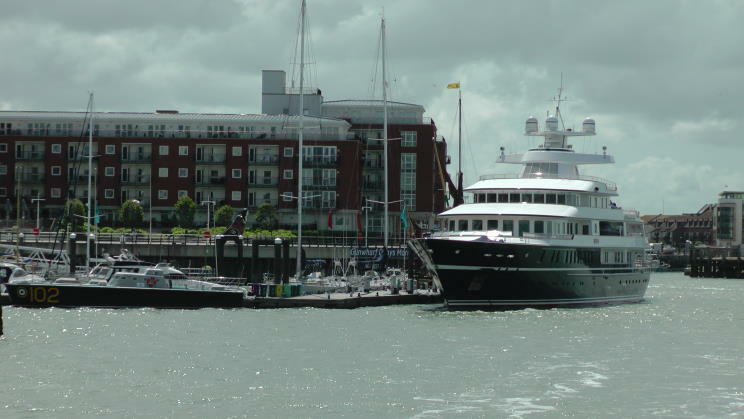 HMS Warrior is seen in the background.